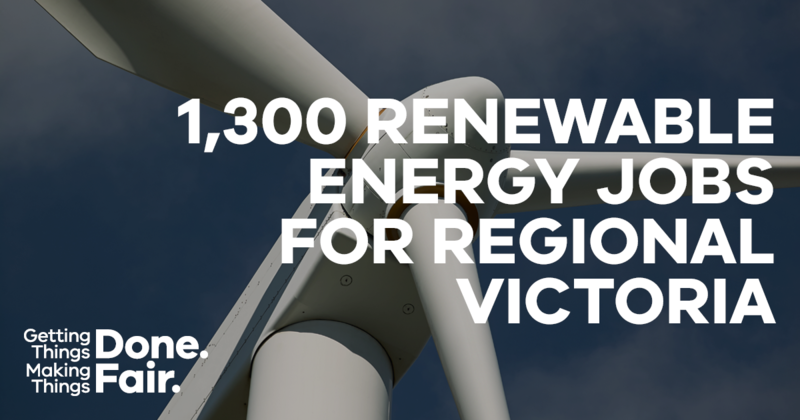 More than 1,300 jobs will be created in Western Victoria with the massive expansion of Stawell’s Nectar Farms, powered by wind energy and backed by the Victorian State Government. The $665 million project, which involves building a major new wind farm with battery storage, will provide reliable and affordable energy for the development of a major new advanced agriculture facility in Stawell. Minister for Energy, Environment and Climate Change Lily D’Ambrosio said the farm will use the latest in hydroponic glasshouse and plant technology to create a 40 hectare, state-of-the-art facility to supply the highest quality vegetables into domestic and international markets. She said the co-located 204MW Bulgana Green Power Hub, backed up by a 20MW battery, will make the farm the world’s first ever crop farm to be completely powered by renewable energy. “We’re delivering affordable, secure and clean energy, which is powering new jobs right across our state,” the Minister added.